Thanks for the great interface culture lab kitchen, I’ve experimented a large variety of dishes in the past year. I’ve also tried and learned from other colleagues. 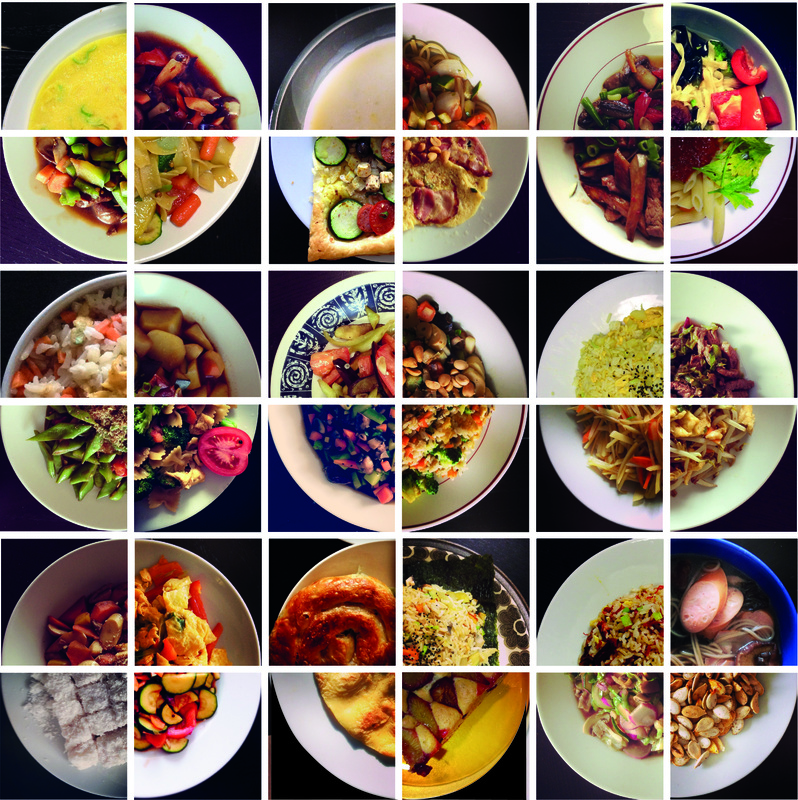 I chose 3 dishes from each month in 2014 and made this collage of cuisine review. Also thanks for the followers in my instagram. I graduatelly mastered the skills to tune the power of the heat, to cut the salad in attractive way, to bake some cake and cookies, to finish cooking 5-color meal in 15 minutes , to cook lunch for 14 people at a time(my personal records)…. Last but not the least how to arrange and cook effectively and efficiently in different situations.